Arctostaphylos viridissima (manzanita): Planted in Summer 2011. Flowering for the first time in our gardens. 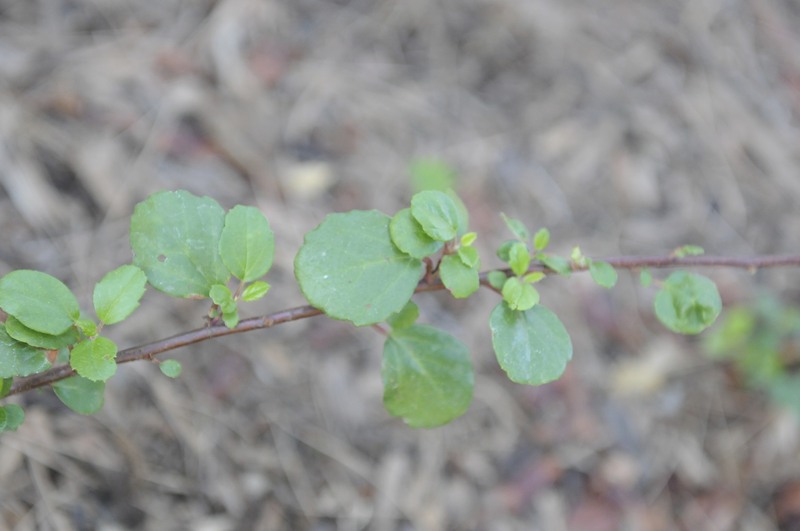 Ribes viburnifollium (catalina perfume): Numerous new leaf buds. When you rub this between your fingers, it releases a wonderfully light fragrance. 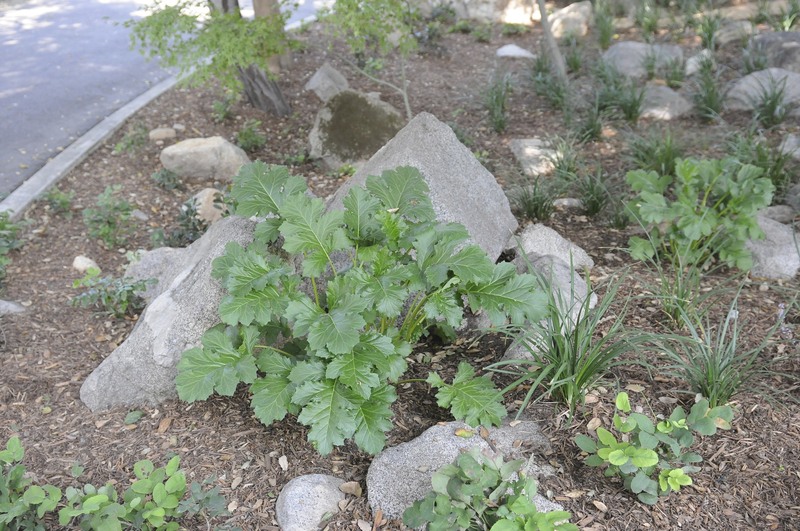 Acanthus mollis (bear’s breeches): In August, we cut this back all the way to the ground. It burst from the ground in October. 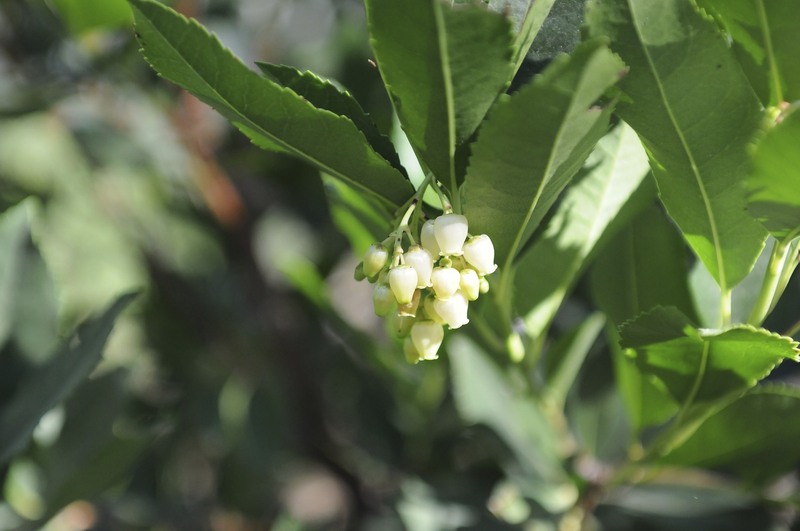 Arbutus unedo (strawberry tree): Flowering in October 2011. 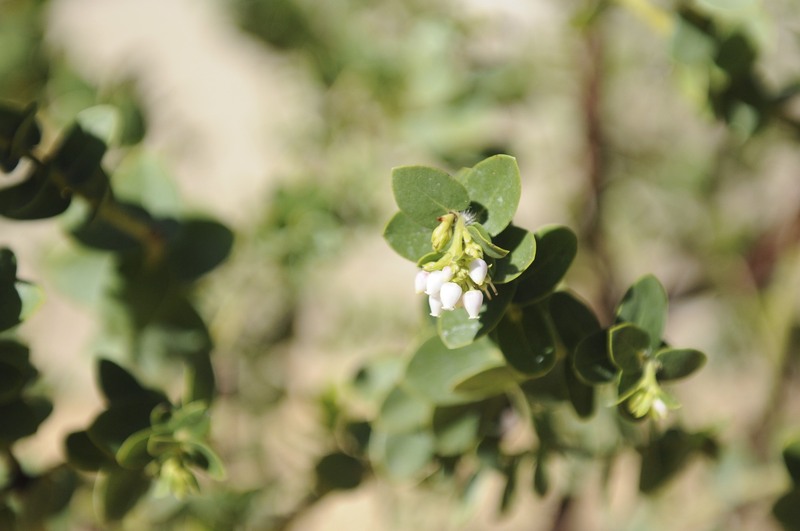 The flower shape is very similar to the manzanita above. The urn-like flower is common to the Ericacaea family of plants (also known as the Heath family) — and Arbutus and Arctostaphylos are two of the genera within that family. 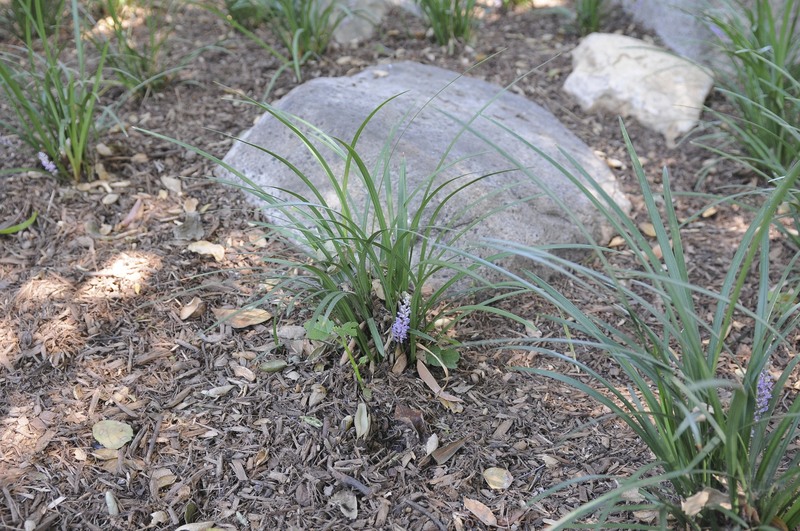 Liriope muscari: Flowered in early October. In early September, I visited Kew Gardens in London and their Liriope was in full bloom at that time. Wonderful. 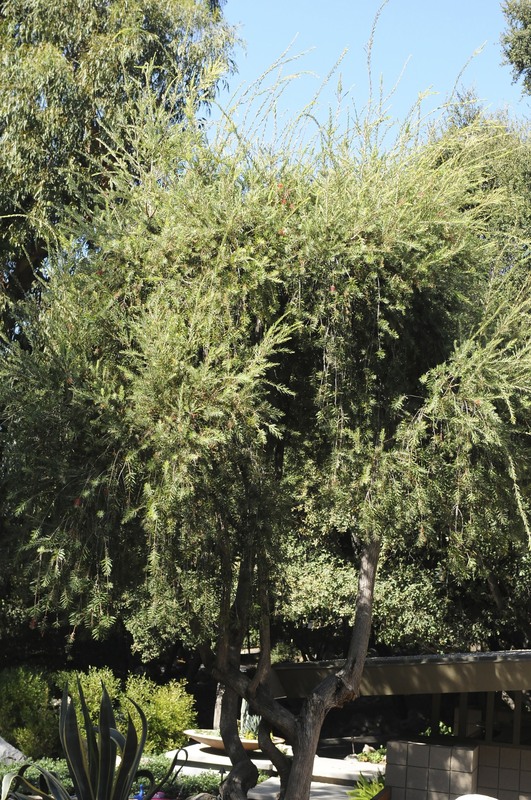 Callistemon viminalis (bottlebrush tree): shows significant new growth and flowers in early October.